Forestry Scales - Accurate Scale Industries Ltd. 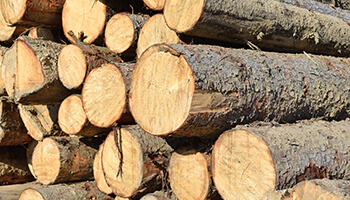 The forestry industry presents unique challenges to scale manufactures. There’s a balance of partnerships between government and private industry where the need for accurate, consistent weighing is crucial. Forestry companies also require remote measurements with portable truck scales that can endure extremely large payloads. Scales have to be built for the toughest conditions, being heavy duty and reliable through the harshest Canadian weather. We’ve been working with a variety of forestry companies to design and implement systems that handle these concerns. A combination of software and physical systems that deliver accountability and efficiency. Most importantly, each situation requires a custom approach, so we treat every situation as custom project. By understanding the location, types of loads and specific concerns of our customers we have created ideal solutions. Our company builds scales that can hold up to the roughness of the forestry industry. The nature of this business requires employees and the scales we manufacture to work in extremely remote areas most of the time. Being in thick forests and falling trees is tough work and you need equipment that’s up to the challenge. Accurate Scale provides portable truck scales that are expertly designed to cope with these rugged conditions, and still remain dependable. We know you don’t want to worry about the accuracy and reliability of your scales and have to stop operations to re-calibrate your scale. With our products, this isn’t a concern. On a busy forestry site you have a lot of trucks and lumber being moved around. How can you ensure accuracy of the load that you are putting on the trucks that will haul the product? What would happen if a scale operator made a mistake, or the processing of a track was overlooked? Accurate Scale offers an assortment of programmable remote terminal devices, with software that is user friendly and able to efficiently manage and store the records of the multitude of trucks that are moving in and out of your processing yards. These devices virtually eliminate human error in the inventory control process. We can pre-install these software programs for you, or create custom scale software. A unique variable in forestry scales is the need for accountable systems that operate at all hours and without attendants. This brings up several concerns around proper load measurement and system readings when there is nobody present to confirm. We have built several systems custom to the forestry industry that bring an extra level of security to the process without complicating it. Automation helps ensure that drivers are fully on the scale, accurately measuring loads and distributing information to central administrators. 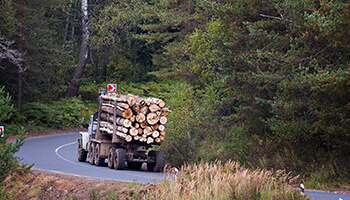 As the load size of forestry logging trucks grows larger, so does the need for extremely durable scales. Massive trucks in a variety of locations and weather conditions create extreme stress that conventional scales fail to meet. Each of our systems is custom made for the situation, where we take into account the type of vehicles and the operating conditions. All of our equipment is manufactured in house, tightly quality-controlled to ensure the payload requirements are met. We have the experience and control over fabrication conditions to offer greater certainty to our forestry customers. Are you looking for a specific scale to help with your aggregate operations? Browse our product listing to see what equipment we carry.